 The Holy Bible: English Standard Version. (Wheaton, IL: Standard Bible Society, 2016), Logos Bible Software 6. All Scripture References from here on out will by ESV unless noted otherwise. Andreas J. Kostenberger. Baker Exegetical Commentary on the New Testament: John. (Grand Rapids, MI: Baker Academic a division of Baker Publishing Group, 2004), 219. James Montgomery Boice. The Gospel of John, Vol. 2: Christ and Judaism John 5-8. (Grand Rapids, MI: Baker Books, a division of Baker Book House Co., 1999), 531. See Kostenberger, John, 219-220 for a good summary of the Holy Ghost’s creative and redemptive work. John 6:53, 68; 14:6, 24, 1 Corinthians 15:45; 2 Corinthians 3:6; Titus 3:5. Boice, The Gospel of John, 534. Boice, The Gospel of John, 534, and John 10:10. Matthew 3:8; Luke 3:8; Act 26:20. 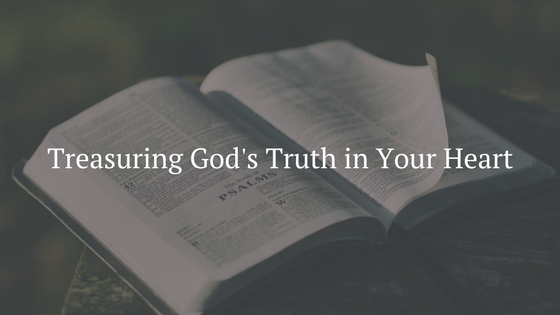 Posted on June 20, 2018 by Seth Dunn and filed under Devotions and tagged Gospels Exclusive Salvation in Christ Proclamation Presbyterian Church Mount Joy application PCA Reformed Scripture Treasuring God's Truth. What would you give to have forgiveness? To have the pains you caused others, your careless words, and all the errors you cannot let go, pardoned? John the Baptist knew worldwide forgiveness cost lamb’s blood. But not just any lamb. If I am honest, I know the wrongs I have committed against others and God cannot be dealt with by a barnyard beast. My angry actions, my insensitive speech, my past have missed Scripture’s mark so much I need something God sized to heal my brokenness. If you are honest, you and I are in the same sinful ship in need of help (Romans 3:23). That is why Jesus Christ is so amazing. Jesus is our once and for all sacrifice needed to move our sins as far as the east is from the west (Psalm 103:11-12, Hebrews 10:12-18). Jesus is the Lamb promised in the Old Testament, Whose blood empowers holy living today (Isaiah 53:7, Jeremiah 11:19, 1 Peter 1:17-19). Jesus is the Lamb Who is worthy in this sight of heaven when all others are found worthless, and Whose impending victory is predicted in Scripture (Revelation 5, 19:11-21). What would you give to have forgiveness? Forgiveness already purchased for you? Whether you have not yet received Christ as your exclusive means of salvation or a struggling Christian, His forgiveness is for you when you confess your need for Him, crying out “Behold, the Lamb of God, who takes away the sin of the world” (1 John 1:9-2:2). Posted on January 4, 2018 by Seth Dunn and filed under Devotions and tagged Logos Bible Software Reformed Treasuring God's Truth application Gospels Assurance PCA Proclamation Presbyterian Church Scripture.